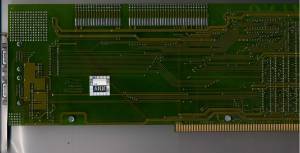 The Domino is an unusual graphics card in that it plugs into a Zorro II slot, but actually acts as an interface between the Zorro II bus and an ISA graphics card attached to the Domino. Although the Domino was supplied with an appropriate graphics card, you're probably limited on what you can actually use with it. 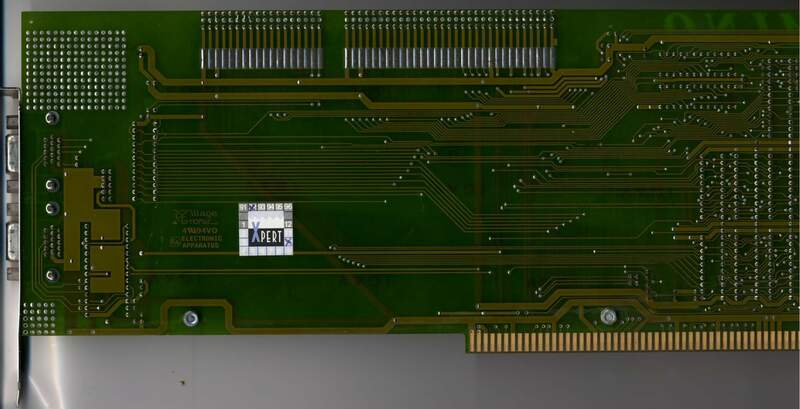 The Domino contains two SVGA connectors, one is the normal SVGA output whilst the other is designed to take the Amiga's native RGB output and pass it through to the monitor. This required the optional switcher-chip to allow you to switch between RTG mode and native mode.